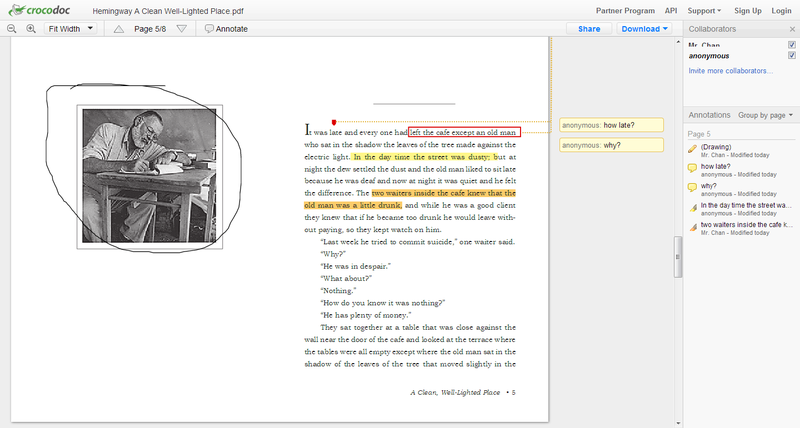 The challenge: Finding an easy way for students to use the Chromebooks to annotate PDF files. Recently, I attended a conference presentation on Subtext, which looked awesome on the iPad, but sadly, the web version is still in its infancy. I just gave it another go, and couldn't find an easy way to upload and start inking on a PDF. I had demo'ed PDFescape during a recent presentation on Chromebooks and Accessibility, and the web application gets the job done, but it does so with an abundance of ads, as well as some clunky behaviors. 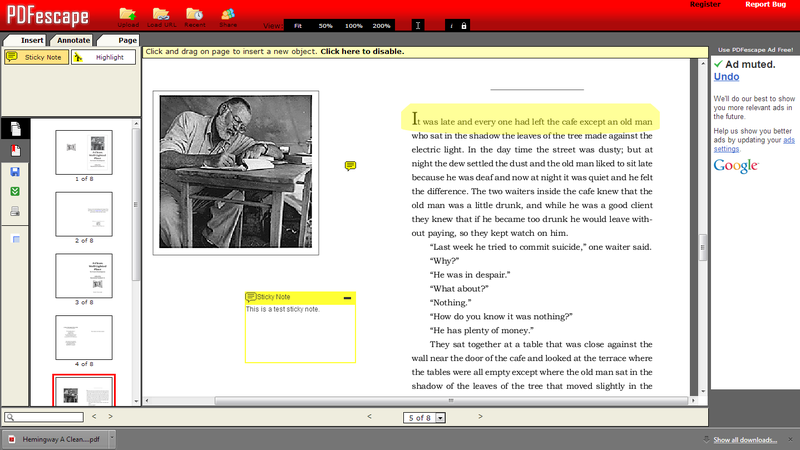 So, in preparation for a meeting with a teacher who is interested in having her students annotate on the Chromebooks, I stumbled upon Crocodoc and I must say that I am impressed. Right from the initial first use, the interface for Crocodoc is very clean, minimalist, and easy on the eyes. The feature set is extensive for a web app. You can write comments on the margins, add pointers, box or highlight text. Free hand drawings, highlighting and text boxes are also one click away. So far, all of this has taken place without needing a login. You can even collaborate with other users by sharing a link or via an email address, and the notes appear in near real time. At the end, you can download the either or both the original and marked up text. Signing in with an account gets you some additional features such as upload history, the ability to delete files and management of folders and documents from one location. I'll post an update once the teacher goes live with the assignment and tests on the Chromebooks. However, for now, I've found my go-to app for PDF annotations.